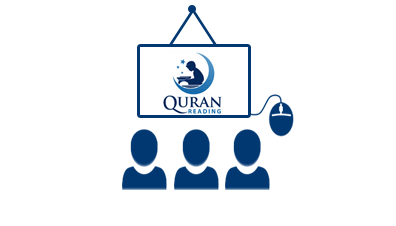 QuranReading.com is a reliable and authentic Online Islamic School, situated in Maryland, USA, and is the pioneer in introducing the concept of Online Quran Reading. We enjoy the honor of imparting Online Quran education to well over 5000 students worldwide in a time span of about 6 years. We are accessible from any part of the world and majority of our students come from USA, Canada, UK, Singapore, and Australia, with ages anywhere between 4 years to 65 years. The concept of Online Islamic School comes as a blessing for Muslim families settled in parts of the world where conventional means of Islamic education are quite scarce and unreliable. To end the woes of such Muslim families, a man with a truly universal vision came forward to introduce the concept of Online Quran learning, helping kids and adults with learning Quran Reading, Recitation, Memorization and various other aspects of Quran learning. Online Islamic School offers you the opportunity of learning more about Holy Quran, with the added benefit of staying home and doing so in most effective manner. It is made possible through one-on-one interaction with our highly qualified and experienced Qur’an tutors, adding more interest as well as productivity to the whole process. Learning Qur’an at www.Quranreading.com is as easy as having internet access from any part of the world, with a PC, pair of headphones, and a microphone for two-way conversation. All the rest is handled aptly by our learned Qur’an tutors. What’s more enticing is the nominal amount we charge in the name of fee, making it really convenient and affordable for you to pursue obligatory religious education. Come, join us at www.Quranreading.com, and feel the difference yourself!